New month!! 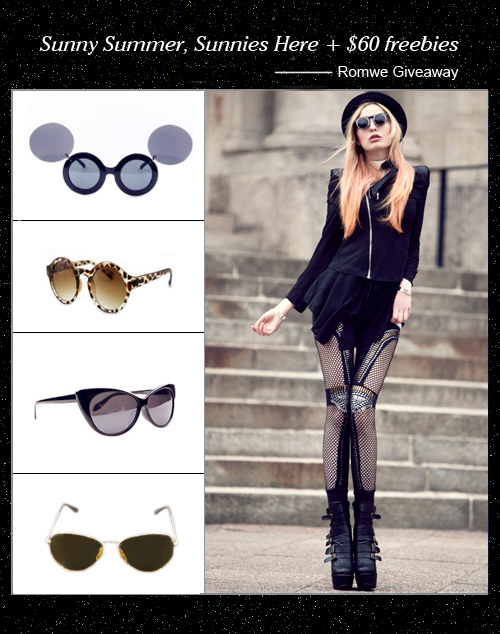 New giveaway: Sunny summer, sunnies here+60 freebies!! Here are some latest coupan for readers! I'm already registered on Romwe, and I am following their Pinterest and Twitter accounts. I am also following your SadeeStyle Blog and Twitter and Facebook accounts as well! Follow Romwe via Pinterest and twitter. I love the first sunnies. I have followed you via GFC, Twitter & liked your Facebook page.